At The Sports & Performing Arts Clinic, special heated stones can be used to facilitate deeper manual treatments without discomfort to the client but they can be used in their own right to achieve a deeply relaxing, tension reducing massage. Native Americans used fire heated stones to treat aching muscles, so this treatment modality is nothing new but today, the stones are heated in hot water to achieve the same result. Not just any old stone can be used. We use smooth basalt stones which can be heated without causing the stone to fracture, retaining their heat for quite a long period of time. These stones also become an extension of the massage therapists’ hand, providing a useful tool to allow deeper work on muscles and fascia without injuring thumbs and fingers. They can also be placed on the body while massaging other areas to warm tight tissues prior to treatment and aid relaxation. 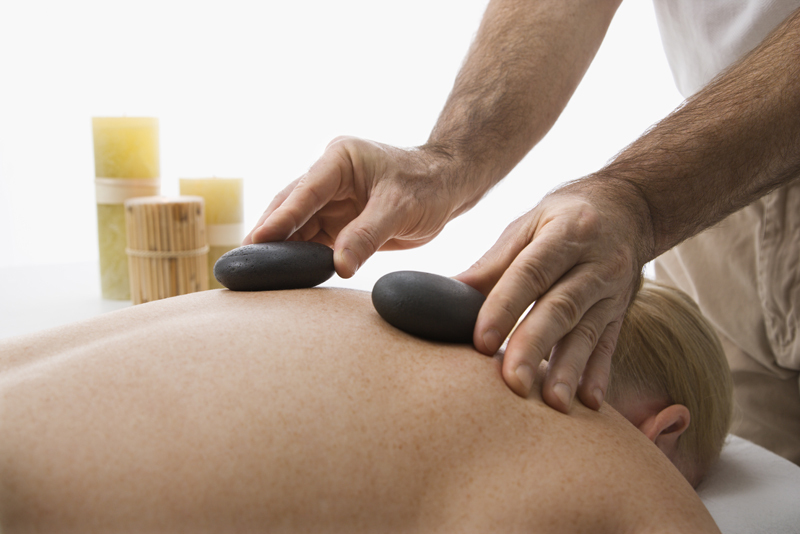 Hot stone massage can be used on any area of the body but especially popular for treating the back, shoulders, legs and feet. You can choose to treat specific areas, opt for a full body treatment or even include a facial treatment where we concentrate on the lymphatic drainage and sinuses. See our clinic price list for details. 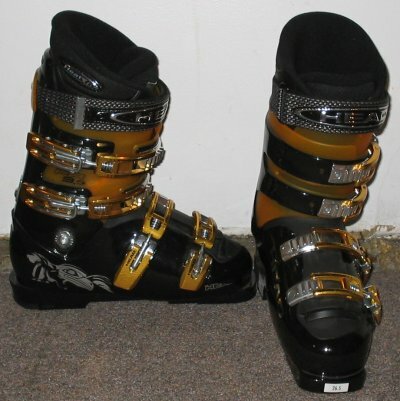 The Sportsphysio.com provide custom built orthotics for your ski boots. The majority of ski boots have a fairly neutral footbed but not everybody has a neutral foot. When your feet are correctly aligned within your ski-boots, you will be better able to regulate your balance, distribute your weight evenly and have greater control of your skis. This can result in a dramatic improvement in your skiing. Muscular or skeletal imbalances which may not be noticeable when walking, become amplified when skiing. The smallest movement from a leg, pelvis or spine will have a great impact on the position of your skis, often requiring large corrections by the body, resulting in unnecessary and awkward movements from the torso, shoulders and arms in order to maintain balance. Poor foot/ski alignment places greater strain on the ligaments of the knee, the hip and lower spine. Correcting the alignment reduces this strain and reduces the risk of injury. This is even more important in beginners who need to concentrate all of their efforts on technique. Specific ski orthotics are designed to support the foot and control problems such as pronation and supination. People can be forgiven for thinking that if they wear orthotics in their every day shoes and trainers, these orthotics will just transfer to their ski boots. Unfortunately this is not the case and doing so may cause more problems than you started with. Normal orthotics or corrective insoles are designed for our general, walking standing or running gait. However, when we ski, the weight has to be perfectly balanced with the bulk of the body weight shifted to the midfoot. Feet are fixed in one position on the skis and movement is now controlled by our body position, rather than through the foot. The foot is a complex collection of joints which articulate in many directions to allow us to walk. In skiing, this movement is superfluous and indeed annoying, as even the smallest motion becomes amplified when transmitted through the skis. Ski orthotics can only be custom fitted, the wide variance in foot types combined with ski boots makes off the shelf orthotics useless for this application. The Sportsphysio.com can also custom fit specialist orthotics for snow boarders, ice hockey and ice skates. The Sportsphysio.com Ski Boot Clinic – provides a skilled ski boot alignment service to help you avoid injury and get the best from your ski boots. Gain better control of your skis and get more from your time on the slopes by visiting The Sportsphysio.com Ski boot clinic. If you are one of the many who tolerate uncomfortable ski boots, experience pain when skiing or just find you are struggling to gain control, then it is likely that your feet are not correctly aligned with your ski boots. Choosing ski boots is often driven more by fashion than fit and finding a good ski boot technician can be difficult. No wonder many people find their ski boots uncomfortable. Even the most expensive ski boots will have a neutral footbed. This is done to allow a specialist to fit the boot to your foot with the use of specially made footbeds which mould to your foot, ensuring a good boot fit and greater control. Slippery surfaces are very unforgiving of foot imperfections and most people do not have a neutral foot. People who pronate or supinate, will transmit this position through their skis which cannot adapt. For these people, it is necessary to have ski orthotics fitted and or canting of the ski boot carried out to correct the problem. Oh dear, this is a greatly misunderstood piece of kit….’Canting’ refers to the alteration of the actual foot position on the ground and this can only be done by the use of correctly fitting footbeds or insoles and, or, shimming or grinding the sole of the ski boot. The little “Canting” screw on the side of your ski boot, only aligns the upper cuff of the boot with your foot. This little widget will not help position your foot correctly on the skis and in fact can make matters much worse. Having your skis aligned to your foot type must be carried out before anybody starts playing with these little ski boot screws. Who should attend a ski boot clinic ? Anybody who skis occasionally, ie; two or three times a year. Anybody who has just purchased a new pair of ski boots. People who wear orthotics in their every day shoes or trainers. Those who are struggling with the comfort of their ski boots. Anybody who is experiencing technical difficulties with balance on their skis. People who start to experience pain or discomfort in the lower limbs, hips or spine when skiing. We will assess your general posture, looking for any important muscle or skeletal imbalances. Your gait will be assessed with foot pressure measurements taken (in the skiing position). Foot alignment with your ski boots will be checked. Minor biomechanical imbalances may be remedied by specific exercises and these will be prescribed if needed. This appointment takes about one hour, but allow yourself a little longer. (We like to be thorough). At a cost of only £75, this is a worthwhile investment. Your own ski boots and ski socks. Comfortable clothing (loose trousers or shorts) please as we need to view the knees. A pair of well worn walking boots or trainers. (This helps us determine what your foot does when walking). Any orthotics you have been using in the past or use in your regular footwear. A list of any problems you face when skiing, including discomfort and technical problems. The Sportsphysio.com holds talks and workshops on ski boot alignment at ski centres and schools. Staff training – Ski boot retailers need technicians who are highly skilled and knowledgeable. 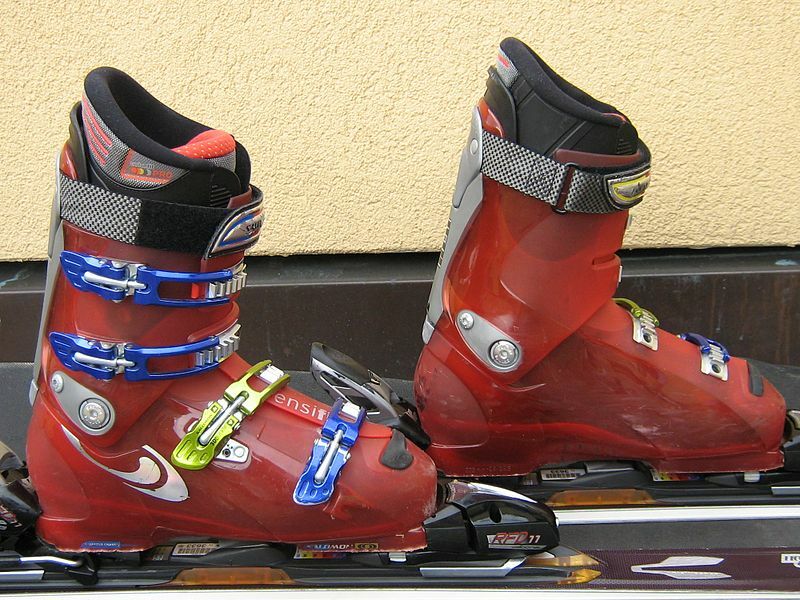 We can provide your technical staff with first class training in the fitting of ski boots and foot evaluation.